TEST DRIVE AND GET UP TO $2,500 OFF SELECT MINI MODELS 8/31/18 – 9/3/18 ONLY. $1,000 off a new 2018 or 2019 MINI model, excluding Oxford Edition, when you test drive at authorized MINI dealers between 8/31/18-9/3/18. The $1,000 cash off is applied against MSRP of final purchase or capitalized cost reduction of a MINI Financial Services lease. Offer not valid in conjunction with any other certificate, VIP card, or test drive offer. $1,500 Loyalty credit for 2018 & 2019 MINI models, excluding Oxford Edition, must be applied toward capitalized cost reduction or down payment through MINI Financial Services. To be eligible, must be a current MINI owner or previous MINI owner within the past 12 months with proof of ownership and valid VIN. 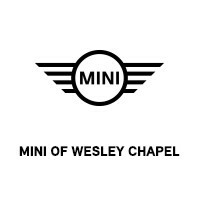 OR $500 Conquest credit for 2019 MINI models, excluding Oxford Edition, must be applied toward capitalized cost reduction or down payment through MINI Financial Services. Certain exclusions apply. Valid on final negotiated price and can be combined with certain other MINI offers that are available at the time of purchase. Credit cannot be applied toward tax, title, registration, destination, handling, or other dealership fees. Only one offer per customer. Proof of identification/residency is required. Options may be limited due to product availability at time of sale. New Price! White 2019 MINI Cooper FWD 6-Speed 1.5L 12V TwinPower Turbo 4-Wheel Disc Brakes, 6 Speakers, ABS brakes, AM/FM radio, AM/FM Stereo, Delay-off headlights, Driver vanity mirror, Dual front impact airbags, Dual front side impact airbags, Emergency communication system, Exterior Parking Camera Rear, Four wheel independent suspension, Front Center Armrest w/Storage, Front reading lights, Fully automatic headlights, harman/kardon® Logic 7® Digital Surround, JCW Leather Steering Wheel, MINI Assist eCall, MINI Connected, MINI Connected Services, MINI Connected XL, MINI Excitement Package, MINI Navigation, MINI TeleServices, MINI Yours Leather Steering Wheel, Outside temperature display, Overhead console, Passenger door bin, Radio data system, Rain sensing wipers, Rear Parking Sensors, Rear window wiper, Remote Services, Speed-sensing steering, Speed-Sensitive Wipers, Sport steering wheel, Storage Package, Tachometer, Telescoping steering wheel, Tilt steering wheel, Touchscreen Navigation Package, Traction control, Trip computer, Variably intermittent wipers, Wireless Charging & Enhanced Bluetooth. Blue 2019 MINI Cooper FWD 6-Speed 1.5L 12V TwinPower Turbo 4-Wheel Disc Brakes, ABS brakes, Automatic Climate Control, Brake assist, Bumpers: body-color, Comfort Access Keyless Entry, Dual front impact airbags, Dual front side impact airbags, Electronic Stability Control, Emergency communication system, Four wheel independent suspension, Heated door mirrors, MINI Connected, MINI Excitement Package, Panoramic Moonroof, Piano Black Interior Surface, Rear anti-roll bar, Signature Line Package, Spoiler, Traction control, Wheels: 16" x 6.5" Loop Spoke Silver Alloy, White Turn-Signal Lights. New Price! White 2019 MINI Cooper S FWD 6-Speed 2.0L 16V TwinPower Turbo 4-Wheel Disc Brakes, 6 Speakers, ABS brakes, Air Conditioning, AM/FM radio, AM/FM Stereo, Badge Deletion, Body Color Mirror Caps, Bumpers: body-color, Delay-off headlights, Dual front impact airbags, Dual front side impact airbags, Emergency communication system, Exterior Parking Camera Rear, Four wheel independent suspension, Front anti-roll bar, Knee airbag, Low tire pressure warning, Manual Climate Control, Occupant sensing airbag, Outside temperature display, Overhead airbag, Overhead console, Power steering, Power windows, Radio data system, Rear anti-roll bar, Rear Parking Sensors, Rear window defroster, Remote keyless entry, Speed control, Speed-sensing steering, Split folding rear seat, Sport Seats, Traction control, Wheels: 16" x 6.5" Loop Spoke Silver Alloy. Chili Red 2019 MINI Cooper FWD 6-Speed 1.5L 12V TwinPower Turbo 4-Wheel Disc Brakes, 6 Speakers, ABS brakes, Air Conditioning, AM/FM radio, AM/FM Stereo, Badge Deletion, Body Color Mirror Caps, Brake assist, Bumpers: body-color, Classic Trim, Driver door bin, Driver vanity mirror, Dual front impact airbags, Dual front side impact airbags, Electronic Stability Control, Exterior Parking Camera Rear, Four wheel independent suspension, Front reading lights, Leather steering wheel, Manual Climate Control, Power steering, Power windows, Rear Parking Sensors, Rear window defroster, Remote keyless entry, Speed-sensing steering, Spoiler, Standard Exterior Trim, Steering wheel mounted audio controls, Traction control. Recent Arrival! New Price! Black 2019 MINI Cooper FWD 6-Speed 1.5L 12V TwinPower Turbo 6 Speakers, AM/FM radio, AM/FM Stereo, Anthracite Headliner, Automatic Climate Control, Brake assist, Bumpers: body-color, Comfort Access Keyless Entry, Cross Punch Leather Upholstery, Driver door bin, Exterior Parking Camera Rear, Glowing Red Color Line, Heated Front Seats, MINI Connected, MINI Excitement Package, MINI Yours Fiber Alloy Interior Style, MINI Yours Leather Steering Wheel, Panoramic Moonroof, Piano Black Interior Surface, Power steering, Power windows, Remote keyless entry, Signature Line Package, Signature Upholstery Package, Spoiler, Sport Seats, Steering wheel mounted audio controls, Wheels: 16" x 6.5" Loop Spoke Silver Alloy, White Turn-Signal Lights. 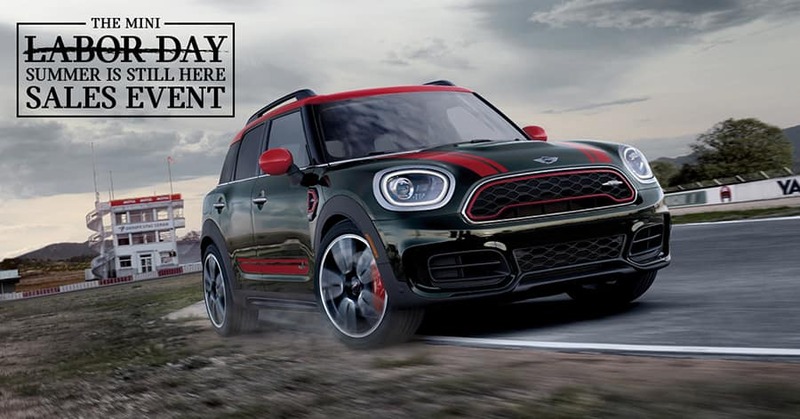 Emerald 2019 MINI Cooper FWD 6-Speed 1.5L 12V TwinPower Turbo 4-Wheel Disc Brakes, 6 Speakers, ABS brakes, Air Conditioning, AM/FM radio, AM/FM Stereo, Automatic Climate Control, Bumpers: body-color, Comfort Access Keyless Entry, Delay-off headlights, Driver vanity mirror, Dual front impact airbags, Dual front side impact airbags, Emergency communication system, Exterior Parking Camera Rear, Front anti-roll bar, Front reading lights, Fully automatic headlights, Heated door mirrors, Illuminated entry, Leather steering wheel, MINI Connected, MINI Excitement Package, Outside temperature display, Panoramic Moonroof, Piano Black Interior Surface, Power door mirrors, Radio data system, Rear Parking Sensors, Rear window defroster, Rear window wiper, Signature Line Package, Speed-Sensitive Wipers, Spoiler, Variably intermittent wipers, Wheels: 16" x 6.5" Loop Spoke Silver Alloy, White Turn-Signal Lights. Recent Arrival! Gray 2019 MINI Cooper Clubman FWD 6-Speed I3 4-Wheel Disc Brakes, ABS brakes, Air Conditioning, Badge Deletion, Classic Trim, Driver door bin, Driver vanity mirror, Dual front impact airbags, Dual front side impact airbags, Four wheel independent suspension, Front anti-roll bar, Front Bucket Seats, Front Center Armrest, Front reading lights, Illuminated entry, Leather steering wheel, Low tire pressure warning, Manual Climate Control, Occupant sensing airbag, Overhead airbag, Passenger Seat Height Adjustment, Power door mirrors, Rear window defroster, Remote keyless entry, Sensatec Leatherette Upholstery, Speed-sensing steering, Split folding rear seat, Spoiler, Steering wheel mounted audio controls, Traction control, Wheels: 16" x 7.0" Loop Spoke Silver Alloy. Recent Arrival! Black 2019 MINI Cooper Countryman FWD Steptronic Automatic I3 4-Wheel Disc Brakes, 6 Speakers, ABS brakes, Air Conditioning, AM/FM radio, Axle Ratio: 4.12, Brake assist, Delay-off headlights, Driver door bin, Driver vanity mirror, Dual front impact airbags, Dual front side impact airbags, Electronic Stability Control, Exterior Parking Camera Rear, Four wheel independent suspension, Front anti-roll bar, Front Bucket Seats, Front Center Armrest w/Storage, Front fog lights, Front reading lights, Fully automatic headlights, Illuminated entry, Leather steering wheel, Low tire pressure warning, Occupant sensing airbag, Outside temperature display, Overhead console, Panoramic Moonroof, Passenger door bin, Passenger vanity mirror, Power door mirrors, Power steering, Power windows, Radio data system, Radio: AM/FM Audio System, Rain sensing wipers, Rear anti-roll bar, Rear Parking Sensors, Rear window wiper, Remote keyless entry, Roof rack: rails only, Sensatec Leatherette Upholstery, Speed control, Speed-sensing steering, Speed-Sensitive Wipers, Split folding rear seat, Sport steering wheel, Standard Suspension, Steering wheel mounted audio controls, Tachometer, Telescoping steering wheel, Tilt steering wheel, Traction control, Trip computer, Variably intermittent wipers. Chili Red 2019 MINI Cooper FWD 6-Speed 1.5L 12V TwinPower Turbo 4-Wheel Disc Brakes, 6 Speakers, ABS brakes, Air Conditioning, AM/FM radio, AM/FM Stereo, Badge Deletion, Body Color Mirror Caps, Brake assist, Classic Trim, Delay-off headlights, Dual front impact airbags, Dual front side impact airbags, Electronic Stability Control, Emergency communication system, Exterior Parking Camera Rear, Four wheel independent suspension, Front anti-roll bar, Front Bucket Seats, Front Center Armrest w/Storage, Fully automatic headlights, Glass rear window, Low tire pressure warning, Manual Climate Control, Occupant sensing airbag, Outside temperature display, Overhead console, Passenger door bin, Passenger vanity mirror, Power convertible roof, Power steering, Power windows, Radio data system, Rain sensing wipers, Rear anti-roll bar, Rear Parking Sensors, Rear window defroster, Rear window wiper, Remote keyless entry, Speed control, Speed-Sensitive Wipers, Split folding rear seat, Sport steering wheel, Steering wheel mounted audio controls, Tachometer, Telescoping steering wheel, Tilt steering wheel, Trip computer, Variably intermittent wipers, Wheels: 15" x 5.5" Heli Spoke Silver. Recent Arrival! White 2019 MINI Cooper Countryman FWD 6-Speed I3 4-Wheel Disc Brakes, 6 Speakers, ABS brakes, Air Conditioning, AM/FM radio, Badge Deletion, Brake assist, Bumpers: body-color, Classic Trim, Delay-off headlights, Driver door bin, Driver vanity mirror, Dual front impact airbags, Dual front side impact airbags, Electronic Stability Control, Exterior Parking Camera Rear, Four wheel independent suspension, Front Bucket Seats, Front Center Armrest w/Storage, Front reading lights, Fully automatic headlights, Illuminated entry, Leather steering wheel, Low tire pressure warning, Manual Climate Control, Occupant sensing airbag, Outside temperature display, Overhead airbag, Panoramic Moonroof, Passenger door bin, Passenger vanity mirror, Power moonroof, Power steering, Power windows, Radio: AM/FM Audio System, Rain sensing wipers, Rear Parking Sensors, Rear window defroster, Rear window wiper, Remote keyless entry, Sensatec Leatherette Upholstery, Speed control, Speed-sensing steering, Speed-Sensitive Wipers, Split folding rear seat, Sport steering wheel, Standard Suspension, Steering wheel mounted audio controls, Tachometer, Telescoping steering wheel, Tilt steering wheel, Traction control, Trip computer, Variably intermittent wipers, Wheels: 17" x 7.5" Imprint Spoke (20A). Recent Arrival! Gray 2019 MINI Cooper S FWD 6-Speed 2.0L 16V TwinPower Turbo 4-Wheel Disc Brakes, 6 Speakers, ABS brakes, Air Conditioning, AM/FM radio, AM/FM Stereo, Delay-off headlights, Dual front impact airbags, Dual front side impact airbags, Emergency communication system, Exterior Parking Camera Rear, Front anti-roll bar, Front Center Armrest w/Storage, Front fog lights, Front reading lights, Illuminated entry, Leather steering wheel, Occupant sensing airbag, Outside temperature display, Overhead airbag, Overhead console, Passenger door bin, Passenger vanity mirror, Power steering, Power windows, Radio data system, Rain sensing wipers, Rear anti-roll bar, Rear Parking Sensors, Rear window defroster, Rear window wiper, Remote keyless entry, Speed-Sensitive Wipers, Split folding rear seat, Sport Seats, Sport steering wheel, Tachometer, Variably intermittent wipers. Recent Arrival! Gray 2019 MINI Cooper Clubman FWD 6-Speed I3 4-Wheel Disc Brakes, 6 Speakers, ABS brakes, AM/FM radio, Bumpers: body-color, Delay-off headlights, Dual front impact airbags, Dual front side impact airbags, Enhanced USB & Bluetooth, Exterior Parking Camera Rear, Fully automatic headlights, Heated door mirrors, Low tire pressure warning, Occupant sensing airbag, Outside temperature display, Overhead console, Passenger door bin, Passenger vanity mirror, Radio data system, Radio: AM/FM Media Display, Rear Parking Sensors, Sensatec Leatherette Upholstery, Split folding rear seat, Spoiler, Sport steering wheel, Tachometer, Telescoping steering wheel, Tilt steering wheel, Trip computer. Recent Arrival! Black 2019 MINI Cooper S FWD 6-Speed 2.0L 16V TwinPower Turbo 4-Wheel Disc Brakes, 6 Speakers, ABS brakes, AM/FM radio, AM/FM Stereo, Badge Deletion, Black Checkered Interior Surface, Body Color Mirror Caps, Classic Trim, Driver door bin, Driver vanity mirror, Dual front impact airbags, Dual front side impact airbags, Four wheel independent suspension, Front Center Armrest w/Storage, Front reading lights, Leather steering wheel, Manual Climate Control, MINI Connected, Passenger door bin, Power steering, Power windows, Radio data system, Remote keyless entry, Speed-sensing steering, Split folding rear seat, Sport Leather Steering Wheel, Sport Seats, Sport steering wheel, Steering wheel mounted audio controls, Tachometer, Telescoping steering wheel, Tilt steering wheel, Traction control, Trip computer. Recent Arrival! Black 2019 MINI Cooper Countryman FWD Steptronic Automatic I3 4-Wheel Disc Brakes, 6 Speakers, ABS brakes, AM/FM radio, Badge Deletion, Brake assist, Classic Trim, Electronic Stability Control, Exterior Parking Camera Rear, Four wheel independent suspension, Front anti-roll bar, Fully automatic headlights, Heated door mirrors, Illuminated entry, Knee airbag, Low tire pressure warning, Manual Climate Control, Panoramic Moonroof, Power door mirrors, Radio data system, Radio: AM/FM Audio System, Rear anti-roll bar, Rear Parking Sensors, Remote keyless entry, Roof rack: rails only, Speed control, Speed-sensing steering, Steering wheel mounted audio controls, Traction control, Wheels: 17" x 7.5" Imprint Spoke (20A). Gray 2019 MINI Cooper Countryman FWD 6-Speed I3 4-Wheel Disc Brakes, 6 Speakers, ABS brakes, Air Conditioning, AM/FM radio, Bumpers: body-color, Delay-off headlights, Driver door bin, Driver vanity mirror, Dual front impact airbags, Dual front side impact airbags, Exterior Parking Camera Rear, Four wheel independent suspension, Front Bucket Seats, Front Center Armrest w/Storage, Front fog lights, Front reading lights, Leather steering wheel, Low tire pressure warning, Manual Climate Control, Occupant sensing airbag, Outside temperature display, Overhead airbag, Overhead console, Passenger door bin, Passenger vanity mirror, Power door mirrors, Power steering, Power windows, Radio: AM/FM Audio System, Rear Parking Sensors, Rear window defroster, Remote keyless entry, Roof rack: rails only, Speed control, Speed-sensing steering, Split folding rear seat, Sport steering wheel, Standard Suspension, Steering wheel mounted audio controls, Tachometer, Telescoping steering wheel, Traction control, Trip computer. Recent Arrival! Gray 2019 MINI Cooper Countryman FWD 6-Speed I3 4-Wheel Disc Brakes, 6 Speakers, ABS brakes, Air Conditioning, AM/FM radio, Badge Deletion, Classic Trim, Driver door bin, Driver vanity mirror, Dual front impact airbags, Dual front side impact airbags, Four wheel independent suspension, Front reading lights, Leather steering wheel, Low tire pressure warning, Manual Climate Control, Occupant sensing airbag, Outside temperature display, Overhead airbag, Overhead console, Panoramic Moonroof, Passenger vanity mirror, Power steering, Power windows, Radio data system, Radio: AM/FM Audio System, Rear window defroster, Remote keyless entry, Speed-sensing steering, Sport steering wheel, Standard Suspension, Steering wheel mounted audio controls, Tachometer, Traction control, Wheels: 17" x 7.5" Imprint Spoke (20A). Recent Arrival!